A.J. Fernandez has once again teamed up with Tabacalera USA. Recently, Tabacalera USA has been rolling out the new H. Upmann by AJ Fernandez – the fourth collaboration the company has done with Master Blender AJ Fernandez. The cigar will be available to Altadis U.S.A. retailers. The new cigar is described as a reimagining of the H. Upmann brand by AJ Fernandez. The cigar features an Ecuadorian Sumatra wrapper, a Nicaraguan Corojo 99 binder, and a combination of Criollo 98 and Piloto Cubano in the filler. 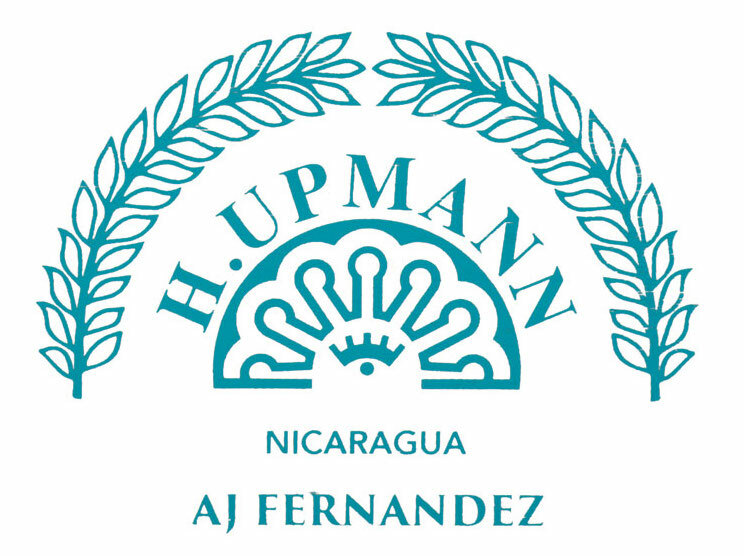 It is also the first H. Upmann cigar to come out of Nicaragua. The H. Upmann by A.J. Fernandez is available in three sizes: Robusto, Toro, and Churchill. The cigars are packaged in 20 count boxes priced between $7.25 and $7.75. The past six months have seen plenty of activity between Fernandez and Tabacalera USA. Late last year, Tabacalera USA released the Montecristo Crafted by AJ Fernandez. This was followed up earlier this year by the Romeo y Julieta Crafted by AJ Fernandez. Last month retailers began to see the Gispert Intenso – also produced by AJ Fernandez. The AJ Fernandez Montecristo and Romeo y Julieta releases are being distributed by Santa Clara Cigars. Meanwhile, distribution for the H. Upmann by AJ Fernandez and Gispert Intenso releases is being handled by Altadis U.S.A..
Love to see AJ Fernandez make a H. Upmann Perfecto shape in this series of cigars. I have been smoking cigars for almost forty years, and I have to honestly say, AJ Fernandez has captured the full essence of old Havana. His expertise has delievered the true essence of a great cigar. In the early 1980’s Cuban Cigars ruled surprime, and I couldn’t smoke anything but Havana’s. Now that Mr. Fernandez is on the scene, he has brought back the taste of old Havana. Hope he shall consider the Perfecto shape in all his cigar creation.